A little sweet, a little salty, and a little crunchy…. Since I’m all gross and sweaty every evening after my kid’s swim team practice (it’s so hot outside already! ), I’m really in the mood for salads so thought we’d keep going with this salad theme for the week. I am very fortunate that my kids do like salads, and fortunately they are really simple to throw together. And, I almost always have at least a few of the ingredients around the house. And then sometimes we also like to add either a little bacon or some feta. Either of these is almost guarenteed to make a salad yummy! 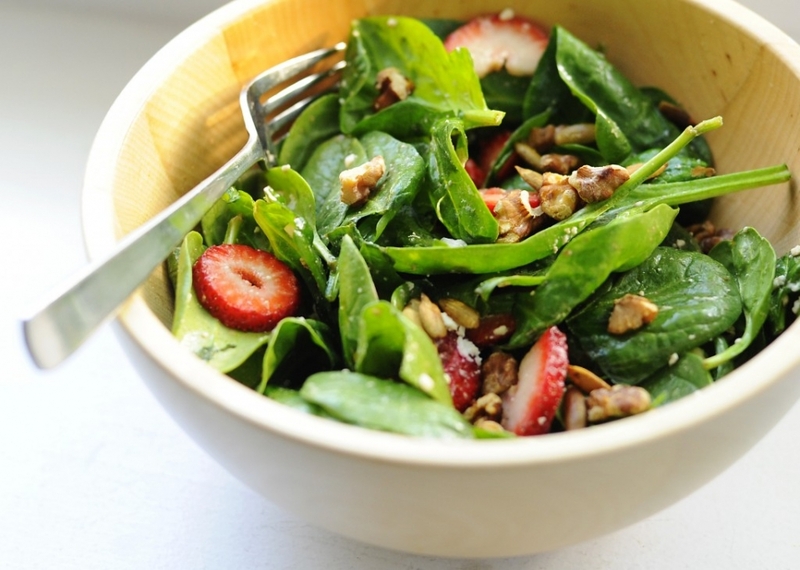 When I’m making this strawberry salad (see above) with roasted walnuts and feta, I’ll use a few drops of stevia in the dressing. 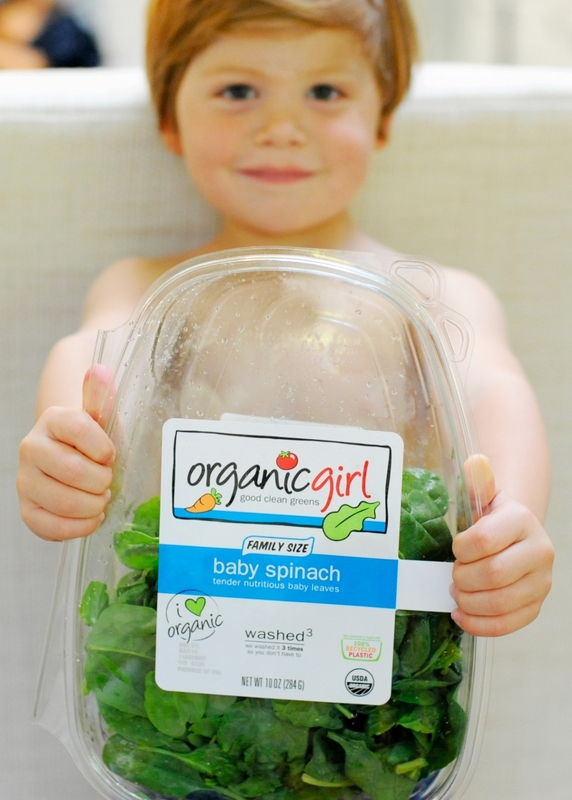 The sweet and salty makes this my kid’s favorite salad! Oh, and quick note about the kale (with nutritional yeast) I’m so obsessed with. So I have tried many different temperatures and cooking times and I think I’ve figured out my favorite combination. So, I’ll preheat the oven to 300, cook the kale (with EVOO, nutritional yeast (and cashews if time), and a dash of apple cider vinegar, lemon juice, and salt) on a cookie sheet with parchment paper for 15 minutes. Then, I’ll turn the oven off (keep the kale in the stove) and I’m ready to start my day. Then by lunch, or even more a mid morning break, I have a great snack waiting! Love this stuff! !